In the last issue, we left Superman who was jumping around with Alex Greer in his hands. After he threatening Greer with more such antics, he finally speaks and it is revealed that his boss is Emile Norvell, the munitions magnate. 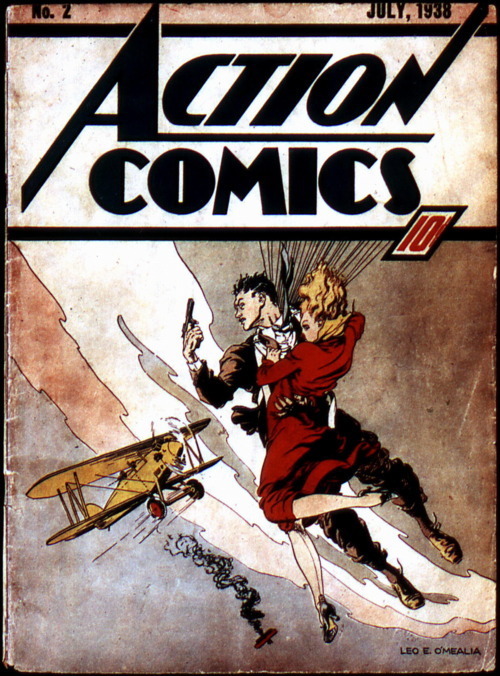 After confronting Emile Norwell, Superman forces him onto a ship heading to San Monte. Finally we see some real action when it is revealed that Lois Lane and a mysterious traveller Lola Cortez are on the same ship. On the ship, Norvell again tries to kill Superman and fails. The writing in this issue has improved from the last one and so has the editing. The story moves forward logically and its properly paced unlike the 1st issue where everything was all over the place. The art is better too and. Dialogues and lettering is still lacking the finesse which is needed. But then again that’s just my viewpoint and it can be wrong. The way Superman cleverly ‘abandons’ ship so that things play out by themselves is something unexpected. But then again, you don’t know where the story is going. Superman makes Norvell join the San Monte Army. He thinks he can outsmart the Man of Steel but even Supes knows how to foil his plans. Apart from these little twists, we see Superman saving Lois Lane again from death by firing squad all thanks to that cheeky little mysterious Lola Cortez. In what seems like a curse, there is always someone ready to attack, kill, destroy Superman in every panel. It kind of feels like the writers tried to force action out of a situation where it wasn’t really necessary. Each time he deals with it, Norvell thinks Superman is dead and jumps with joy only to see Superman standing in front of him right in the next panel. Another thing to note in the first two issues is how he seems to love holding people, sometimes two, in his hands and jumping around. It’s very funny to see him do that again and again. The ending is genuinely hilarious. It will really make you laugh from the heart. It was kind of surprising to see such an ending. Whoever thought of that, deserves an applause. Is it entertaining? Yes, better written than the first one. The ending makes it worth reading.